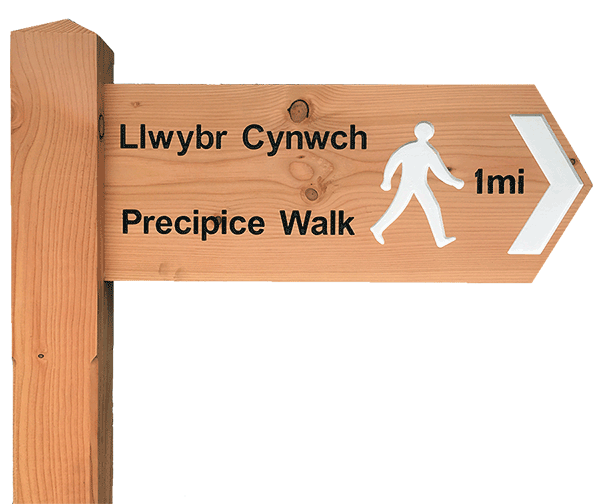 A 1-mile walk linear walk which takes you from a quiet country road to the 26-acre Llyn Cynwch. 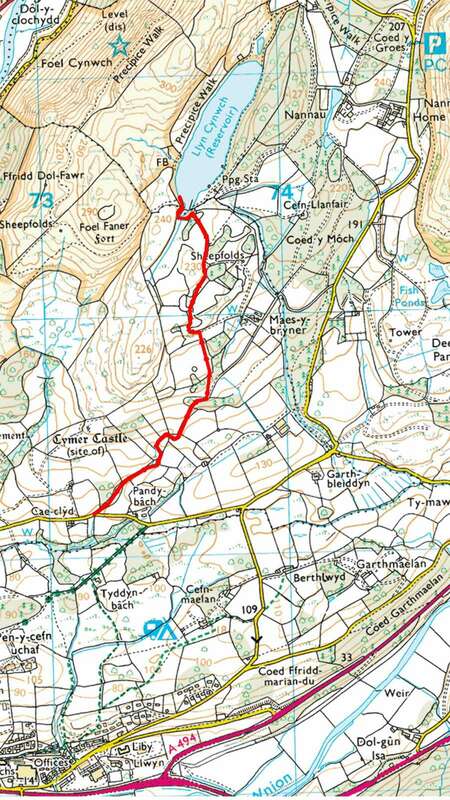 DESCRIPTION: A one-mile walk linear walk which takes you from a quiet country road to the 26-acre Llyn Cynwch, one of the most beautiful lakes in the area, and also part of Precipice Walk. 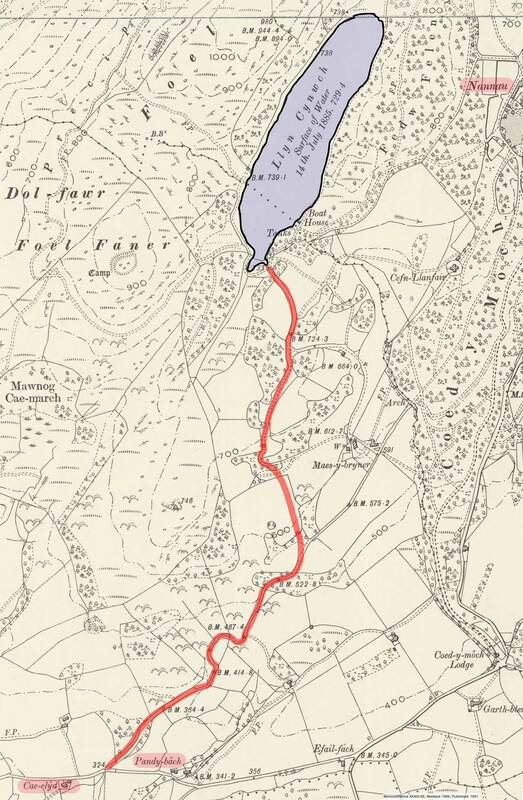 The walk starts on the minor road that leads from a junction on the Dolgellau to Llanfachreth road (by the telephone kiosk) and runs down to Llanelltyd Bridge and Cymer Abbey. The walk starts at around 330 feet and the lake is around 740 feet, so there is an ascent of 410 feet. START: There is no parking at the start, so there are various options from parking in Dolgellau, Llanelltyd Bridge or the Coed y Groes (Precipice Walk) car park. 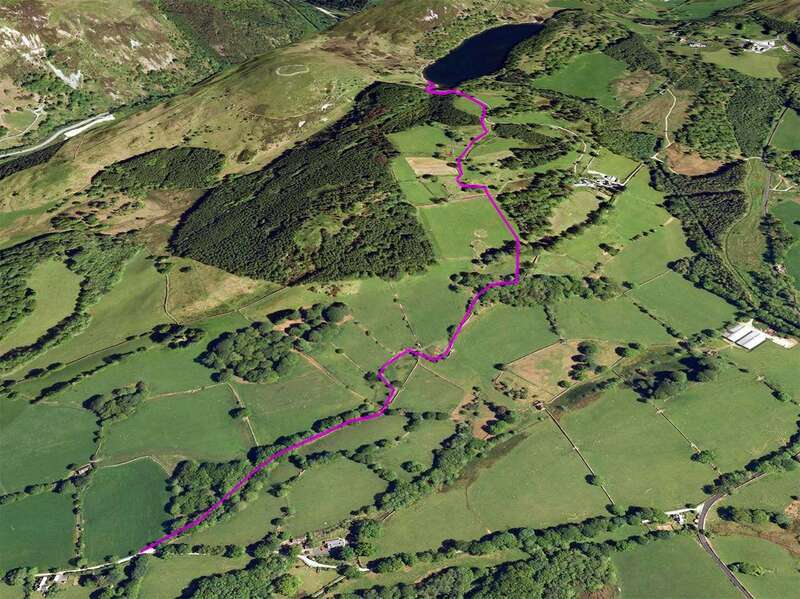 You can also walk up the main Dolgellau to Llanfachreth road, then turn left at the phone booth (and the lovely old smithy of ‘Efail Fach’) and turn right at the junction at ‘Pandy Bach’. 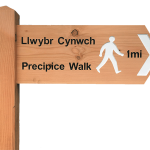 Another option is to use the (unfortunately infrequent) bus service and ask to be dropped off at the Precipice Walk car park and then walk back to Dolgellau along the quiet country roads. This is also a very nice bus route as it takes you one a ‘mystery tour’ west to Brithdir and then up a minor road from Bont Newydd to Llanfachreth. From the car park you can walk to the lake, down the path to the road, then turn left. Make a sharp right just past Pandy Bach and follow this long straight road until it joins with Pen-y-Cefn Road and follow that down to the town. There is a footpath sign midway along this road that leads you through farmland and back to Coed y Fronallt and comes out at Eurospar. While I am calling this the ‘Pandy Bach’ walk, as that is the name of one of the houses it starts close to (and where a new stone pointing to it was added in 2018), it does start between this pretty old fulling mill and another small cottage of Cae Clyd. 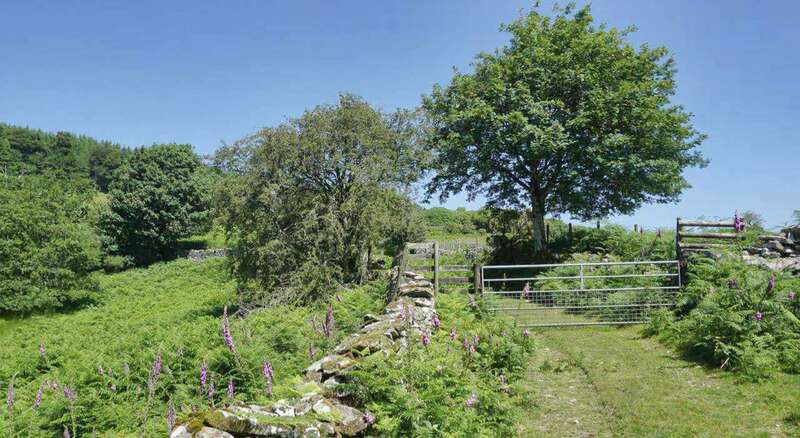 ‘Pandy Bach’ is Welsh for ‘Small Mill’ and ‘Cae Clyd’ means ‘Sheltered Field’. The word ‘Clyd’ actually has the same derivation as the Scottish River Clyde, which also means ‘sheltered’. Both these were old Nannau Estate cottages, but are now in private hands. 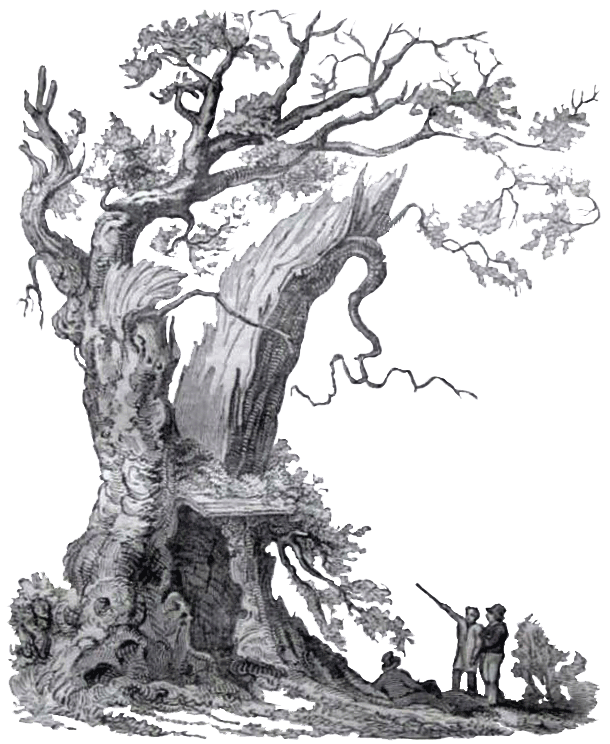 There were once seven roads that led out of Nannau, which date back to the days when there were threats of attack. Most of the roads are now overgrown, but this is one that has been reclaimed by the Nannau Estate and was opened to the public in 2018. It once was the main road down from Llyn Cynwch which joined with another road from the Nannau Dower House of ‘Maes y Bryner’. Much of the path is the old grassy carriage track between two low walls. If you look closely at the old 1900 map you will see several ‘bench cut marks‘ in the low stone walls, used for surveying. These date from the nineteenth century. There are none of these marks on the 1900 map on the main road from Nannau, so it seems this was one of the main access roads. There were a couple of new signposts installed in 2019. One points to the ‘Precipice Walk’ and this walk, and the other across the road, points back down to Dolgellau. Walk to the wide gate and pass through the little gate on the right (remembering to watch your feet as it doesn’t open all the way down!). You now enter a shady stone path between trees with a little stream on your left. This first section can get a little wet and muddy. The path soon leads out of trees and you start to see more greenery. 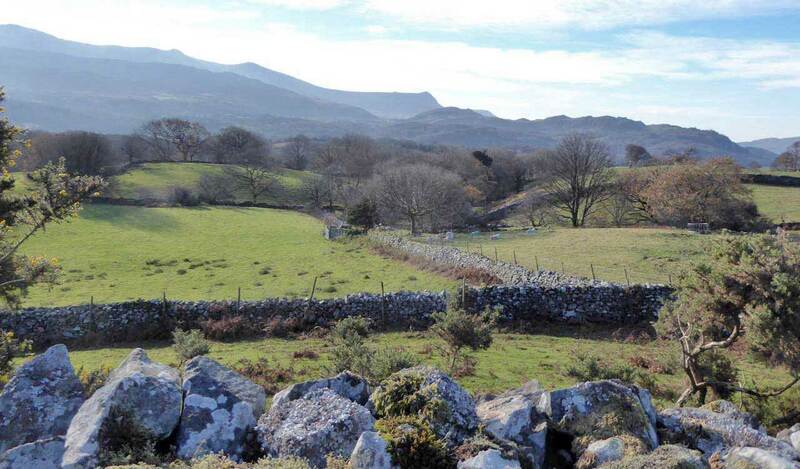 Pass through a wide metal gate and the view starts to open up with great views of Cader Idris and the Arran mountains The path curves left and right around a raised area (where the sheep are fed) and then right and left around another raised mound. Follow the signpost with the yellow arrow, keeping the wall on your right, and you will soon gain more height and pass under some trees. Once you are out of the trees you will see another marker post and a second one straight ahead with a gate just after that. Go up a new set of stone steps and through the gate. Walk straight up through this big field and aim for the gate at the top right-hand corner. Go through this and join a grassy path which veers to the left. Wind your way around this (still heading roughly north) and follow the wide greet track. There is another marker post here, which is hard to spot. Keep going along this track and you will eventually reach a tarmac road. This is a private road which leads off the Dolgellau to Llanfachreth road, past Maes y Bryner, and is used for the people who fish on the lake. All text and photographs are Copyright © Ian King 2019. (Apart from the images that are © Google Earth).